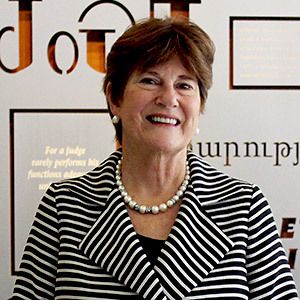 The Honorable M. Margaret McKeown of the U.S. Court of Appeals for the Ninth Circuit delivered a captivating keynote address on "Censorship in the Guise of Authorship: Harmonizing Copyright and the First Amendment" to an audience of more than 90 IP scholars, Supreme Court litigators, IP practitioners and students at Chicago-Kent's sixth annual Supreme Court IP Review (SCIPR) on September 25. 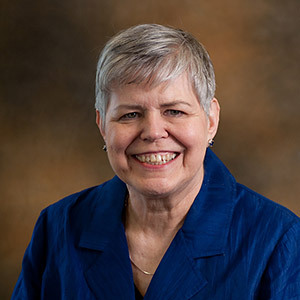 The Chicago-Kent Journal of Intellectual Property will publish Judge McKeown's address, as well as responses to her essay from law professors, in a symposium issue next spring. SCIPR 2015 sponsors included the law firms of McAndrews, Held & Malloy Ltd., McDonnell Boehnen Hulbert & Berghoff LLP, Morgan Lewis & Bockius LLP, Nelson Bumgardner PC, Seyfarth Shaw LLP and Steptoe & Johnson LLP. The conference was made possible in partnership with the Jack Miller Center and through the support of a grant from the John Templeton Foundation. Professor Daniel Martin Katz, a leader in using technology to advance the study and practice of law, joined the Chicago-Kent faculty this fall. Professor Katz will assume a key leadership role in Chicago-Kent's ongoing initiative to build the preeminent law and technology program in the country and has launched The Law Lab @ Chicago-Kent (thelawlab.com) to support these efforts. A scholar of legal informatics and legal technology, Professor Katz is an editor of the International Journal of Law and Information Technology (Oxford University Press) and a member of the editorial board of the Journal of Artificial Intelligence and Law (Springer Scientific). In 2013, Professor Katz was named a Legal Rebel by the ABA Journal and received a Fastcase 50 award, recognizing him as one of "50 of the smartest, most courageous innovators, techies, visionaries and leaders in the law." In 2014, he was named to the external affiliated faculty at CodeX-Stanford Center for Legal Informatics. Along with Professor Edward Lee, Professor Katz spoke at this year's Supreme Court IP Review to explain his method of predicting outcomes of Supreme Court cases based on the use of algorithms, experts and crowdsourcing. 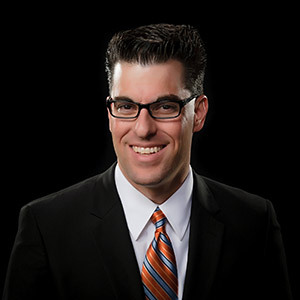 Professor Katz teaches Civil Procedure, E-Discovery, and Entrepreneurial Lawyering at Chicago-Kent and spearheads new initiatives to teach law students how to leverage technology and entrepreneurship in their future legal careers. Learn more about Professor Katz and his work at /faculty/daniel-katz. Associate Register of Copyrights Karyn T. Claggett is an invited participant. Accepted presenters include copyright scholars from the United States, Israel and India. CESIP plans to award up to three research grants to fund some of the promising projects presented at the conference. Completed research projects will be submitted to the Copyright Office for its policymaking review of the four designated issues. To attend the conference, please email your name and institutional affiliation to Patricia O'Neal at poneal@kentlaw.iit.edu. There is no registration fee for the conference, and all presenters and other participants are expected to pay for their own travel expenses. Find out more about the conference and the presenters at IP Events at IIT Chicago-Kent. Chicago-Kent and the U.S. Patent and Trademark Office have collaborated to establish the Chicago-Kent Patent Hub, a pro bono program that will help qualified, low-income inventors and small businesses in Illinois obtain volunteer legal assistance from local patent agents or attorneys licensed to practice before the USPTO. The Chicago-Kent Patent Hub was created as part of a USPTO pro bono initiative to provide assistance with the patent application and prosecution process for inventors in all 50 states. "We are incredibly pleased to be a part of this pro bono program and to help secure nationwide coverage for President Obama's and the Patent Office's initiative," said Mary Anne Smith, director of the Patent Hub. Inventors and patent attorneys can learn more about the program and apply online to participate at Chicago-Kent Patent Hub. 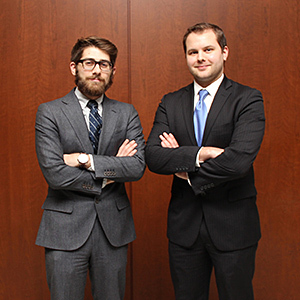 Daniel Allard '15 and Patrick Grimaldi '16 won the Giles Sutherland Rich Memorial Moot Court Regional Competition in March. The team swept the Midwest tournament at John Marshall Law School and qualified for the national finals in Washington, D.C. Sponsored by the American Intellectual Property Law Association, the competition focuses on patent law issues. Alumnus Jeff Mikrut '10 coached the team, and Professor Mickie Piatt served as judge during practice sessions. 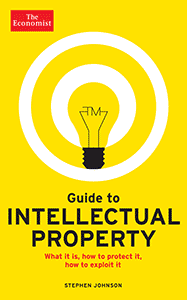 The Intellectual Property Law Society's annual GastroIP Symposium on November 10, 2015, will focus on trademark issues related to the beer industry. The annual student-run event draws a large audience of IP students, faculty, alumni and IP practitioners. Carolyn Purnell, a Jack Miller Center Postdoctoral Fellow as part of the Benjamin Franklin Project at IIT and a visiting assistant professor in the Department of Social Sciences, will speak on "The Oil of Venus: Alimentary Medicine and the Law in Eighteenth-Century France." Panelists will include Jim Ebel, co-founder of Two Brothers Brewing; Glenn Rice of Funkhouser Vegosen Liebman & Dunn; Alexis Douglas of K&L Gates; Andrew Goldstein of Freeborn & Peters; and Adam Cieslak, founder of Maplewood Brewery and Distillery. A reception will follow the panel discussion. The second BookIT IP Series of fall IP author discussions is underway, and the annual spring Chicago IP Colloquium speaker series, co-sponsored and co-hosted by Loyola University Chicago School of Law, is on the horizon. "Thirty-Five Years of U.S. Cultural Production: A Quantitative Look Through the Lens of Copyright Registrations, 1978-2012"
"Contextual Healing: Morality and Section 2(a) of the Lanham Act"
"Scaffolding Innovation: Constructing Collaboration Across Knowledge Domains"
"Social Publishing: How Nonprofit Organizations Are Leveraging Alternative Approaches to Copyright to End Book Hunger"
"Patent Working Requirements: Historical and Comparative Perspectives"